If you are a renter, you should report all leaks, floods, condensate drips, elevated humidity or other moisture problems immediately to the owner or property manager. Consider contacting your local health department or housing authority if these problems are not remedied in less than 48 hours. Own Rental Property in Charlottesville? 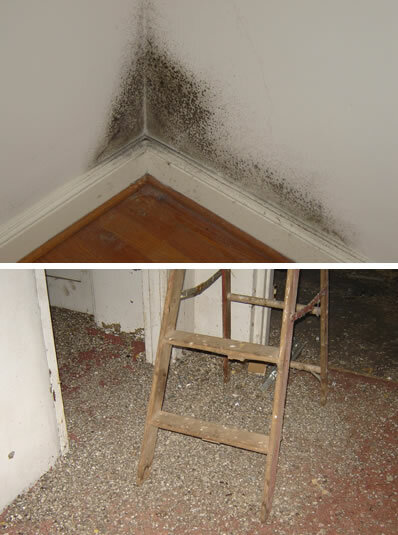 Contact us today for Charlottesville rental property mold inspections! We inspect properties from Culpeper to Richmond to Harrisonburg, too. Why Is Mold In My Home? Are Molds Dangerous In The House? Is Professional Mold TESTING Necessary? Is Professional Mold REMOVAL Necessary? Joel Loving is a Licensed Mold Inspector and Certified Environmental Inspector with greater than 25 years experience in molds testing, inspections and remediation protocol development, hazardous building materials inspections, and indoor air quality assessments. He is retired from the faculty at the University of Virginia Environmental Health and Safety Department, currently serves on the Virginia Department of Professional and Occupational Regulation Board for Asbestos, Home Inspectors, Lead, and Mold Licensing, and is President of Environmental Health Consultants, Inc.
To learn more about our mold inspection services, including moisture testing, and remediation protocol development,, contact us in Charlottesville at 434-962-8721 or 434-977-1409.